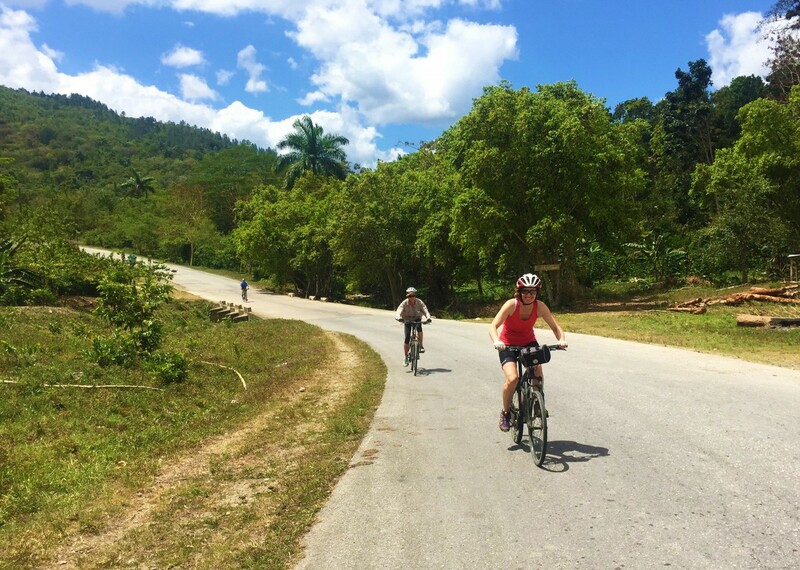 A lovely easy paced cycling holiday in Cuba. 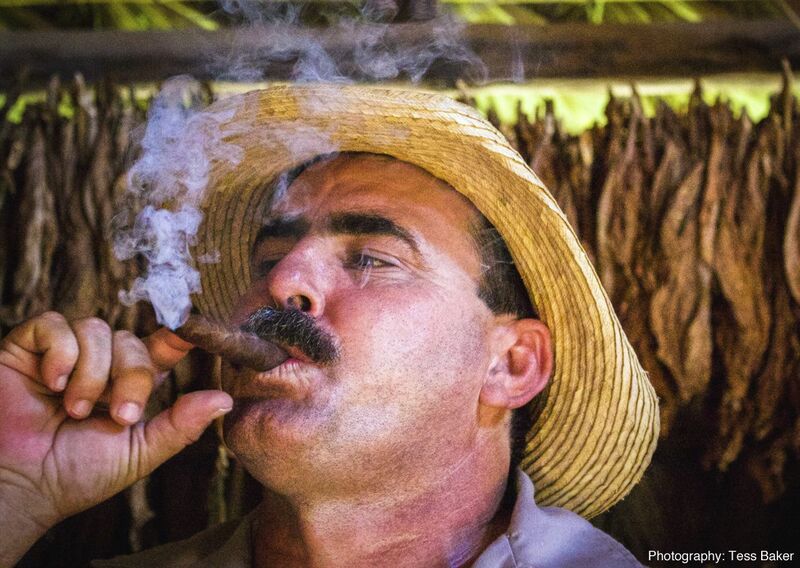 Two weeks of salsa and cycling, old cars and cigars, on the Caribbean’s most vibrant island. 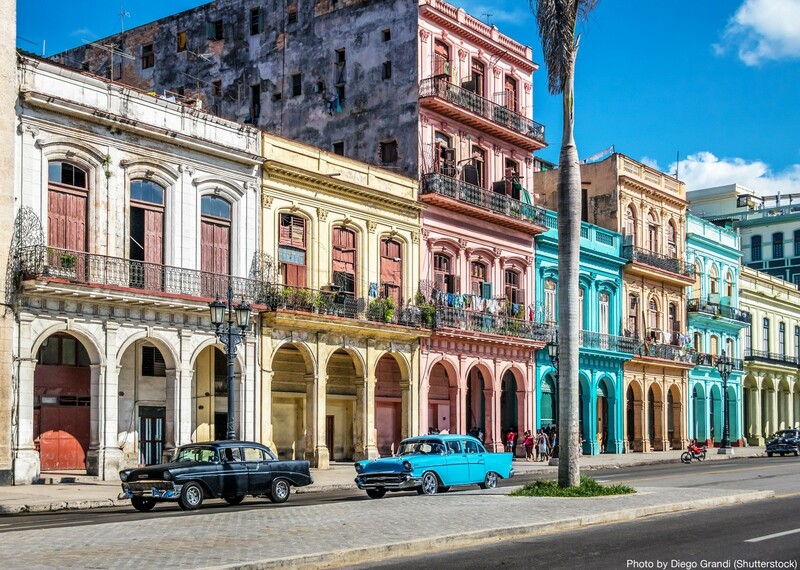 Our Cuban Revolutions tour offers an unrivalled insight into the fascinating island of Cuba. During our tour we stay in a wide variety of accommodation, including hotels with pools and, in order to get the full flavour of your time in Cuba, we will also be staying in casas particulares (private houses). 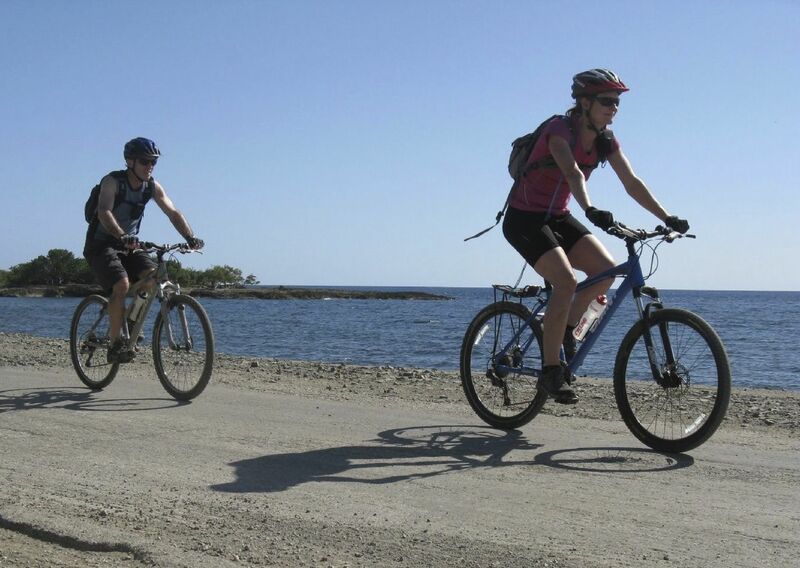 This biking trip takes us on a journey through Cuba and begins in the historic city of Havana with a city tour of some of its famous landmarks. 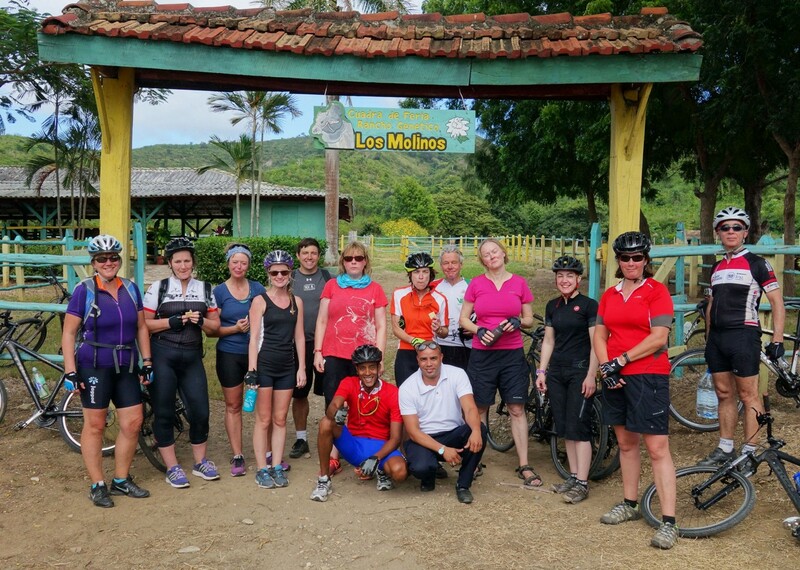 After transferring to Bayamo our cycling starts in earnest with our initial highlight the religious site of the Virgin of Charity at El Cobre. 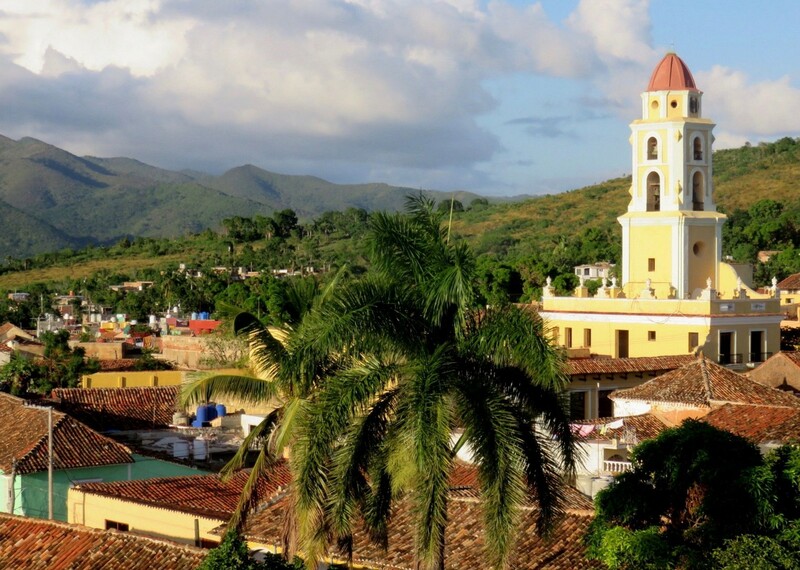 It’s from here we set our sights on Santiago de Cuba; the birthplace of the revolution and home of Cuban music. Stunning views of the Carribbean Sea are next as we follow the dramatic and stunning southern coastline and head west to Sierramar and Marea de Portillo on our way to the charming provincial town of Niquero. Perfectly positioned on the Golfo de Guacanayabo it’s positioned close to the landing point for Castro, Ché and the revolutionaries. 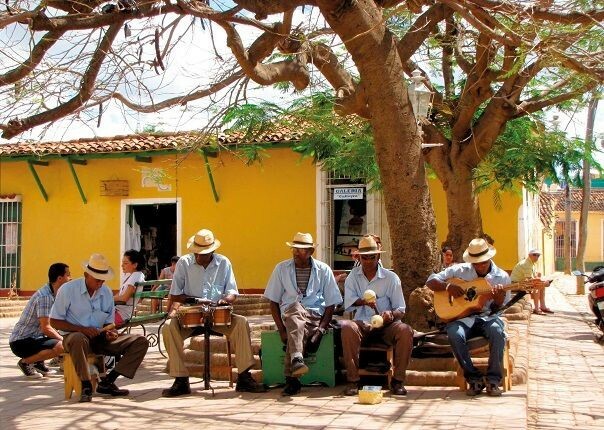 Trinidad, one of the jewels of Cuba is next and is without doubt the most picturesque city in Cuba. It’s here we spend time with local families for 2 nights before making our way to Santa Clara, to visit the Che Guevara Mausoleum. 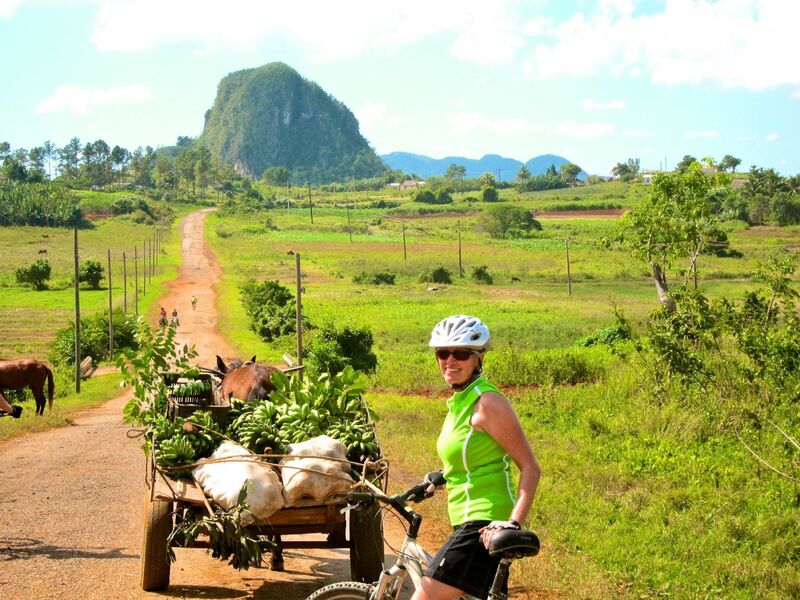 After a scenic transfer, we're back on the bikes in the area of Pinar del Rio, heading through the picturesque Mogotes of Viñales on route to Soroa. A final day's cycling takes us back to the city of Havana for a night of daiquiris and dancing. Our final day starts with a lovely walking tour of Old Havana followed by a leisurely lunch and a spot of souvenir hunting before we head to the airport and evening flight connections. Our guides and driver went to special efforts to get us fresh fruit and peanut snacks after it became clear that our group didn’t particularly go for the biscuits already bought before rides began. Our driver had the fruit clean and chopped up ready to go on each stop; it was much appreciated, especially as it was very hot. Both guides were really excellent, friendly, helpful, good with the bikes. One was especially patient with me as I was often at the back, but he stayed with me and was encouraging. Our local Cuban guide was fantastic; he gave us so much information about Cuba, the way of life, politics, history etc. and encouraged us to ask any questions. He had brought interesting videos to play on the long transfers, which added a lot to our knowledge and understanding of the country. For me, this made the trip so much more worthwhile. We had a very comfortable coach with a wonderful careful and patient driver, who helped with bikes and luggage, sorted out our snacks and water for each stop. So much more than a driver! It was expensive, but definitely worth it for us. Cuba was awesome! 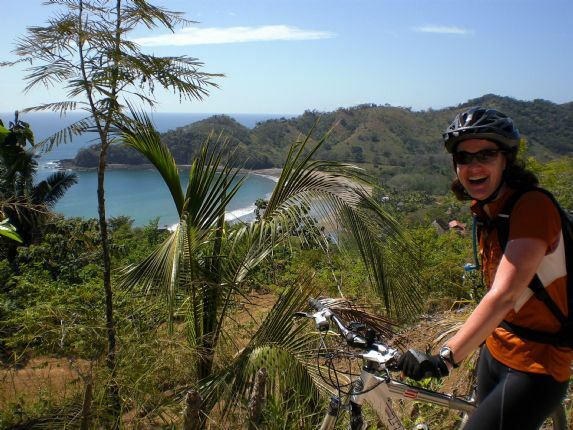 We have done several cycling trips in various countries and this is definitely one of the best if not the very best. 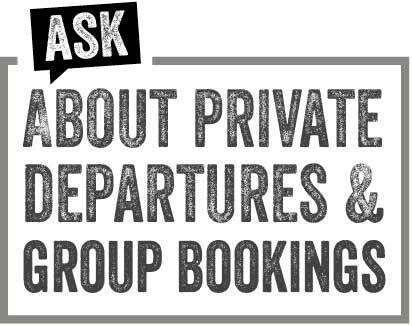 The pre-trip information was helpful and all my additional enquiries received a quick response. A lot of thought appeared to have been given to finding a variety of accommodation throughout the trip. This route was extremely well planned out to give a variety of scenery and to see most of the best tourist sights. My favourite day was the third cycling day which was also the hardest day’s cycling. Steve was great. Calm, reassuring, knowledgeable and had an excellent sense of humour. The Cuban guide with us was young, enthusiastic and spoke good English. He could answer almost every one of the many many questions our group threw at him. He also was able to laugh and joke easily with the group. Knowing we had back up if things had gone wrong was well worth paying for. Definitely value for money. This was our second Skedaddle holiday. That speaks for itself. All excellent. Exceeded expectations. It was one of the best holidays of my life (and I’m aged 60!). A real adventure spent among like-minded people in a beautiful country. Peter couldn’t have tried harder to ensure both our safety and our enjoyment. Excellent leader. Thank you Peter and Saddle Skedaddle. The accommodation was as good as could be expected given we were in Cuba where the facilities do not always equate with those in many other countries. Saddle-skedaddle did their utmost to provide the best of what was available (food wise). Breakfasts and dinners were very good, usually a variety of options to suit most people, lots of local fruit. My favourite day was the long cycling day from Sierramar to Marea de Portillo. This was an interesting route starting along the coast and climbing some challenging hills. I felt really good with myself for having completed it, it helped that we were cooled by a rainstorm part way through. My hired bike was just the right bike for the job, a good range of gears, reliable brakes and kept in good condition by the crew. This was the first time I had ridden a bike with suspension, essential for some of the rough roads we were riding on. Our tour leader went out of his way to help whenever he could, friendly and encouraging. Our other guide was very friendly, and spoke excellent English. He did a great job of explaining to us the social and political history of Cuba, and was always ready to answer our question. He provided videos for the longer bus transfers, a mixture of history and politics mainly but with some added humour and music. 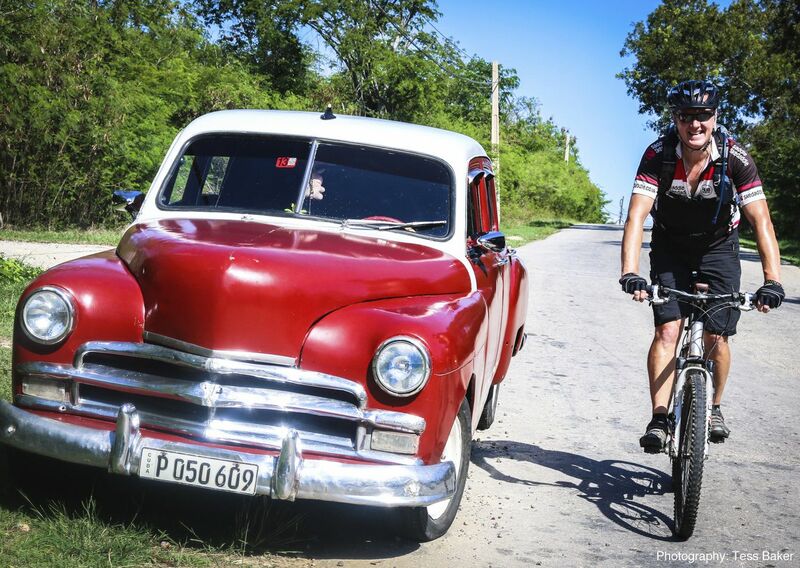 (Saddle Skedaddle’s) Cuban Revolutions cycle tour reaches parts of Cuba most bike spokes don’t cover. 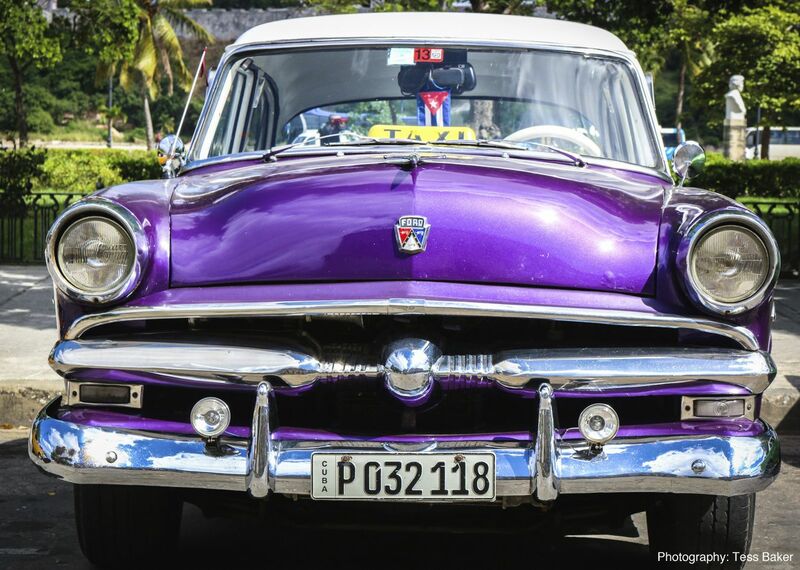 It includes the most exciting road in Cuba – the southern coastal route west of Santiago de Cuba, where the road is straitjacketed between the Sierra Maestra mountains and the wild Caribbean. 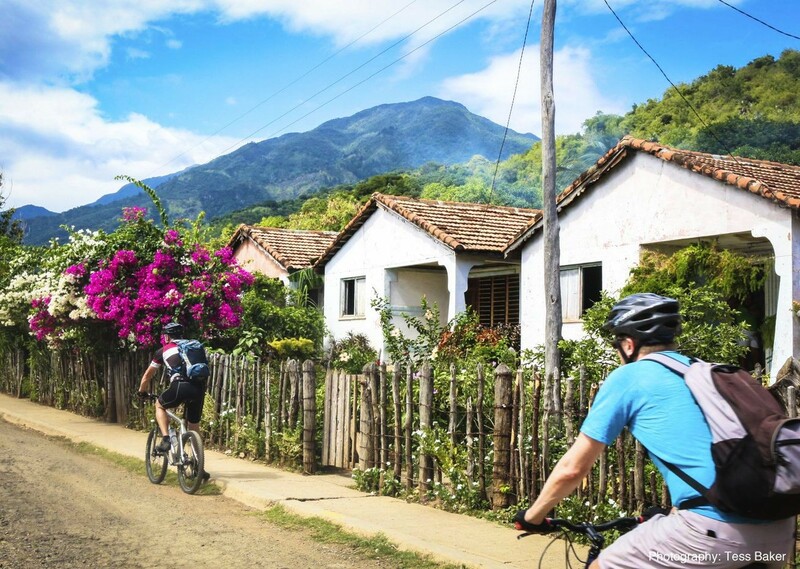 The tour combines colonial cities with rural idylls, and offers nights in casas particulares (private B&Bs). This was Cuba! So my expectations were managed by previous travellers blogs about what to expect! But that was part of the charm of this wonderful country! So some toilets didn’t have seats! Some showers only had cold water or the hot and cold water running from opposite taps! But in general the accommodation was clean and always very welcoming! Some of the locations were lovely – so that also made up for the actual accommodation itself! Again, my expectations were that the food was going to be ‘basic’ -so I was thrilled at some of the private restaurants/eco restaurant in Vinales which were lovely – well cooked with lovely flavours. I aimed to be gluten free – and to be honest there was enough ‘basic’ food that I certainly wasn’t hungry! The Skeddadle rep/local rep were also very accommodating and found food solutions! Tony was an excellent + mature guide for our group – personally and being slower than the main group – Tony coached me up the ‘cheeky’ hills and gave some excellent cycling tips too! I was in a group with a very fast pace – and after the first day I was a little disheartened – particularly as I had undertaken training in prep for the holiday!! But Tony made me realise that it was my holiday too! and to cycle at my own pace…........... a little hard to do, as I didn’t want to be holding up the main group – but after day 2 – I felt more comfortable and actually some of the main group started to slow a little more too!! The sense of pride when I achieved those ‘cheeky’ hills was fab! All down to the coaching from Tony. This holiday more than lived up to my expectations. Cuba is a fascinating country and we were able to see a good slice of it. I feel our timing was perfect as there is the possibility of change, not necessarily for the better. Tony, our tour leader was great. Informative and determined to make our trip as good as he could. We had great confidence in him and felt sure that he would be up to any challenges that might arise. The quality of the food was somewhat variable, ranging from the sublime to average. On the whole it was much better than I had expected and there were some definite high spots. We never had a bad meal, but the choices were sometimes rather predictable (omelette for breakfast and a choice of pork, fish, pulled beef for other meals). However the limited choices were more than compensated for by the wonderful fresh fruit and vegetables. The best meals were truly excellent and far exceeded my expectations. Tony was an excellent leader. He was in control of the situation without being at all overbearing. His contribution was critical to making this such an excellent holiday. I can't recommend Cuban Revolutions and Skedaddle enough! It exceeded any expectations I could have had. I travelled alone, speak no Spanish, and was a little nervous about my solo arrival. Getting to the hotel was a non-issue, and Tony met me while I was checking in, hooked me up with other early arrivals. I can’t recommend Cuba Revolutions and Skedaddle enough! Your staff were fantastic, from initial contact with Andrew, follow up with Matt, and of course Tony Stoddart in Cuba. Our Cuban guide Arley and bus driver (Aldo) were also great; attentive, fun, and committed to the adventure. I was completely satisfied with the accommodations provided for us in Cuba. It was an adventure! Of course, if you want to compare those lodgings with other countries, they will pale by comparison. So…I was very happy with the accommodations. I would have been disappointed if we’d stayed at truly swanky joints. Again, hmmm. No complaints with the food, we had several feasts and a couple very basic and sort of strange meals. This is no reflection on Skedaddle or our guides. Tony went out of his way to accommodate my food allergies, and I brought lots of snacks, so all went well. Its Cuba. We had a brand-new air conditioned bus! Really appreciated the unexpected luxury although I was uncomfortable at times gazing out the tinted windows at the Cubans who looked bewildered by the behemoth rumbling through their towns, villages, and farm fields. 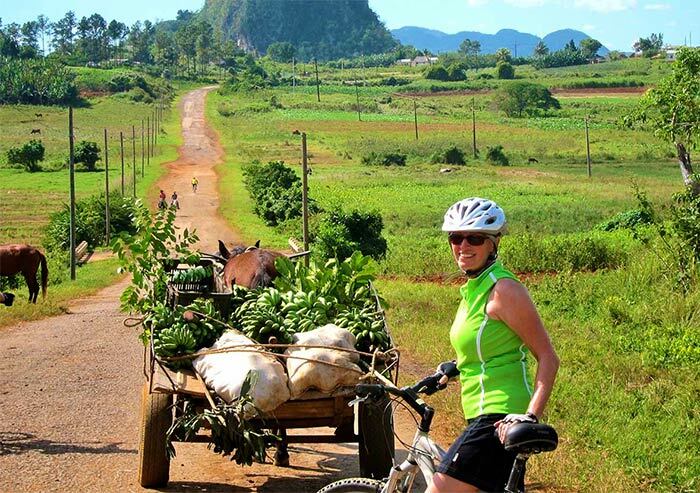 This was the best in introduction to a) cycling holidays and b) Cuba that I could have hoped for. A great fortnight never to be forgotten. So much more than we were expecting! The guides were excellent and we saw so much more than we were expecting. Peter was so encouraging and despite many organisational problems he made our experience very relaxed, dealing with whatever came his way without bothering us with the details. I’ve chosen excellent to reflect the food and accommodation as, although in comparison to other countries it might not be, it was when considering the resources available to this island. The Casas Paticulares were my favorite accommodations, and I was initially anxious in the way they were described given it read like we would be staying in a family’s house with them. However, there is far more pride and personal touches in these places than any hotel could offer. 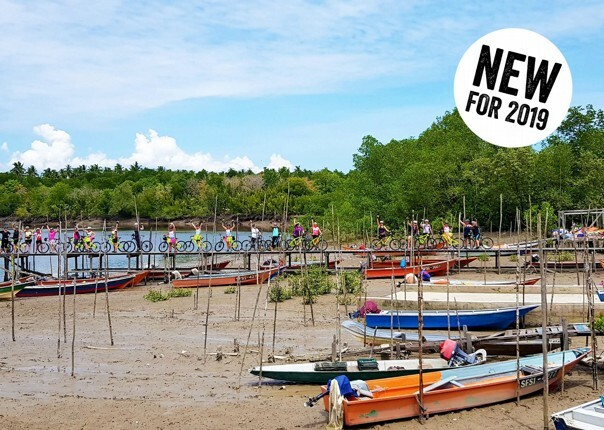 I enjoyed the day with the gentle ride to the seafood barbeque banquet in the house by the beach, the non-cycling day with the mountain hike up to Castro’s hide in the mountains and the rest day with a ride to the quiet beach. Tony was great fun with a wealth of knowledge and really helped my Mum develop her cycling ability with great patience and instruction on technique. 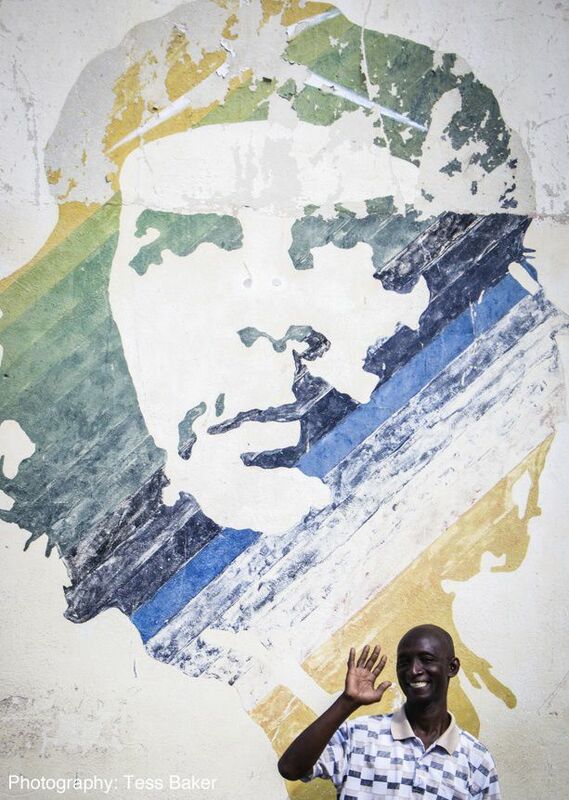 He has a real passion for Cuba which is infectious. Andry was an absolute gem. His knowledge of Cuba’s history and current struggles was huge and his perfectly spoken English allowed this to be relayed flawlessly. He also had much information to share about Cuba’s flora and fauna which was his personal passion. He too was really kind in his assistance to my Mum and made this trip ‘do-able’ for her. Well up to the high standard we have come to expect from Skedaddle! It was wonderful to find Tony welcoming us on arrival at Havana – he knew us from a previous trip to Vietnam and he greeted us like old friends. He is an excellent leader – very knowledgeable about all things bikey and quick to get his hands greasy and sort out mechanical problems, fast. One day which sticks in the mind was the day spent hiking through the rain forest to La Plata – lovely views and a new experience to walk in jungle. 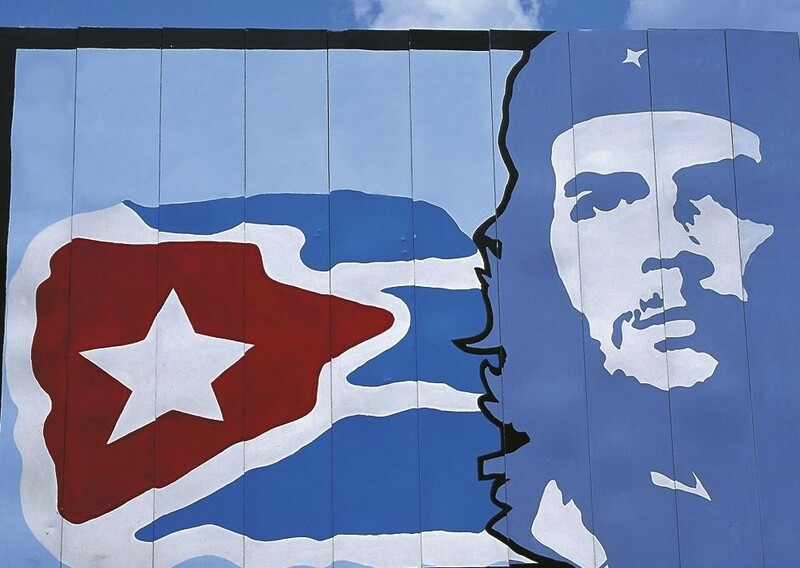 It helped to put aspects of the Cuban revolution into perspective. 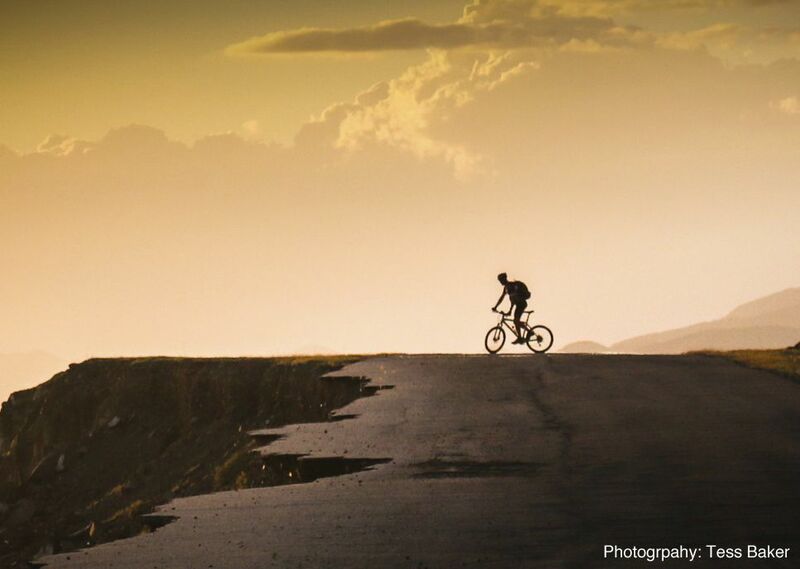 The day spent cycling from Santiago to Sierramar was very enjoyable. My cycling capacity was quite limited and every opportunity had been taken to make things as comfortable as possible for me. I cannot thank Peter and others involved enough for the care and consideration they went to. Peter took every consideration for me. I would like to express my thanks and appreciation for this. The group was a very independent-thinking and diverse group of people and I felt Peter managed to relate to all levels – quite a skill. Every query (and there were many) was responded to promptly and in detail. Made organisation from the other side of the world so much easier. Thank you. We had a wonderful time on this engaging, relaxing vacation, The group was small enough that we could get to know each other but not claustrophobic at all. Going with a guided tour was a great introduction to Cuba, allowing us to get our bearings and proving us with access to locals who were fun, friendly and very well-informed. We had the best accommodations available, but I would not want anyone to expect luxury. In some areas, very basic is all there is. They were all scrupulously clean. Our favorites were the Casas Particulares, which were as well stocked as any hotel, and offered an opportunity to engage with our hosts. We soon understood that the menus were hopeful, as actual stocks varied. There was always food, though, served in great quantity and prepared well. I have no doubt that we ate the best available food, but prospective travelers should understand that tillable acreage seems largely devoted to rice, sugar cane and tobacco, for obvious reasons, so vegetable selection was not broad. There was chicken, beef and pork everywhere, served with rice and black beans, and tropical fruits. Most meals were family style, so we could vary what we selected. My favorite day, in hindsight, was day four of cycling…..We stood in the shade by the side of the road in a small village – near the crossroads – knowing that the most helpful thing we could do was stay put. As we waited, village life unfolded before us. Children walked home from school in their pristine uniforms, cowboys with mud on their boots rode past, horse and ox-drawn carts passed, some apparently ferrying people to or from work, a man wrestled a plow being dragged by an ox. No one troubled us or even seemed to take much note of us. It was quiet and almost lyrical. First ’ novice’ experience….advice, encouragement and patience reassured me and provided an amazing and enjoyable holiday. This was my first cycling holiday and am not a seasoned cyclist, as Tony will confirm, but he and Andry could not have been more helpful or encouraging. Patience personified and very encouraging. Nothing too much trouble. Gave me advice that certainly allowed me to complete all but one of the rides which was far more than I had expected. The Casas Particulares were particularly good. They are described as staying in family homes rather than en suite Cuban B&Bs which I think would give a clearer description. I was initially a bit daunted by moving into a ‘family home’ but they were absolutely my favorite stay. We had a fantastic fresh seafood lunch! An interesting varied variety of accommodation. 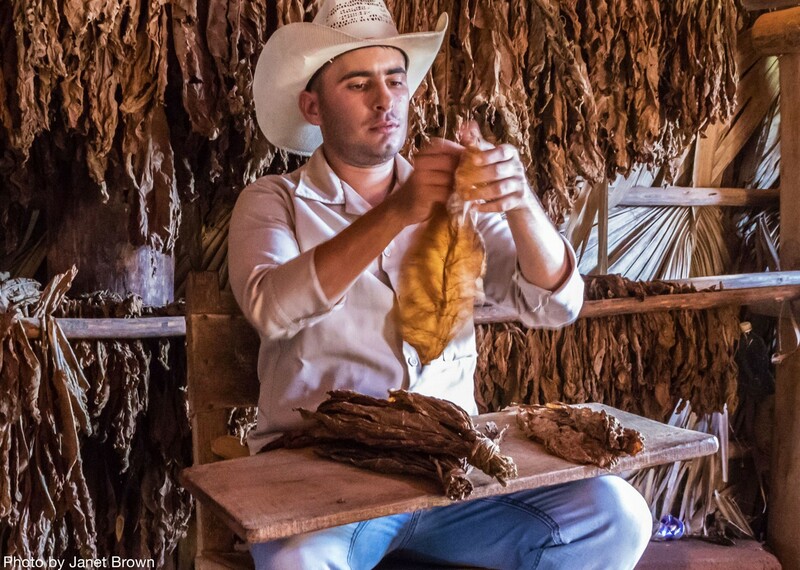 The food in Cuba was variable – but I expected that from reading before travelling. The places we ate were again very varied – eg we had a fantastic fresh seafood lunch in the middle of nowhere and some rather mediocre fayre in some of the more touristy places. There was plenty of food however-just not somewhere to go if you want gourmet meals. Best Ride …Cycling along the coast and stopping at tiny local restaurant for lovely seafood lunch – couldn’t eat all the lobster! Walking up to Fidels hideout in the mountains also great. 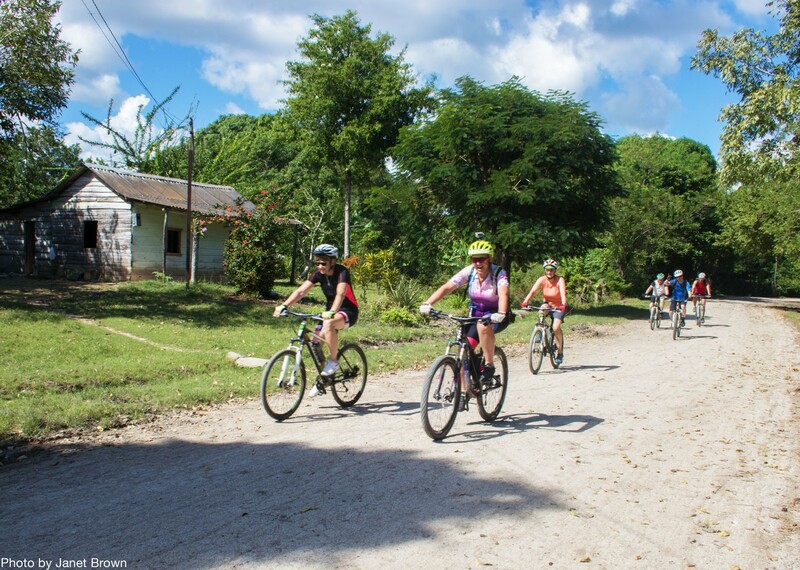 We consider we were fortunate to have Steve as our leader- he was so knowledgeable about Cuba and cycling in general. He was very unassuming and it took us a while to realise he was not your average tour guide! He quietly dealt with all the various problems which arose and engendered an air of confidence and unflappability. Our local guide was an entertaining and personable young lad who interacted very well with the group. He had an encyclopedic knowledge of dates and places relating to Cuba’s history. The itinerary was excellent in that it covered all the major points of the Revolution and a wide variety of other interesting places. 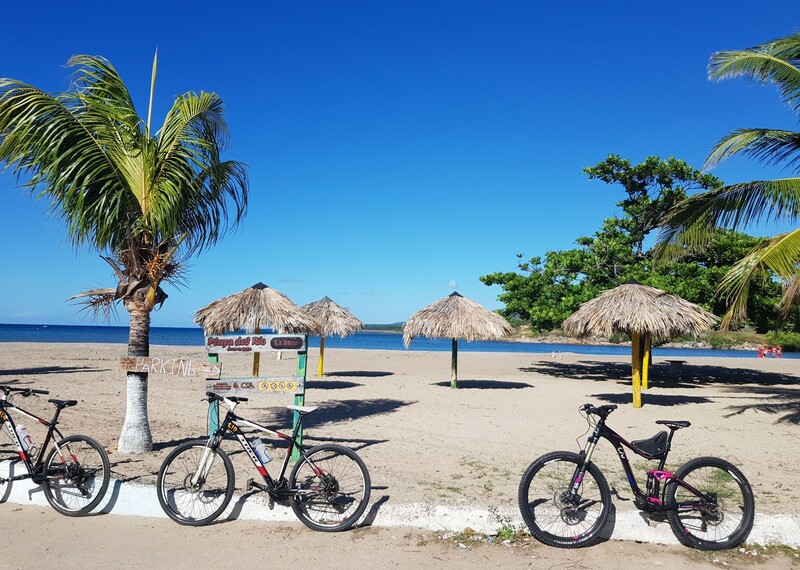 Considering the constraints of getting bikes into Cuba, we thought they were well suited to purpose very well maintained. Peter (the guide) was excellent and very attentive to sorting out any bike problems. Peter was really great – personable, obliging, worked very hard and got on with everyone. It was the best holiday I've had in a long time. A great itinerary and every day we did something new and found something different and special. I feel I have a good insight into the country and and sampled many different aspects. The thing I liked best was cycling down back roads which otherwise I would not have known were there! Thanks to our guides for helping me to see the real Cuba, off the beaten track. I really liked the variety of the accommodation. Staying with local families was enjoyable and the food was very good. I always felt well provided for. It really benefitted the overall experience of the holiday. Tony was a great tour leader. I found him to be friendly, patient, good fun but also very professional. You provided excellent, caring service! 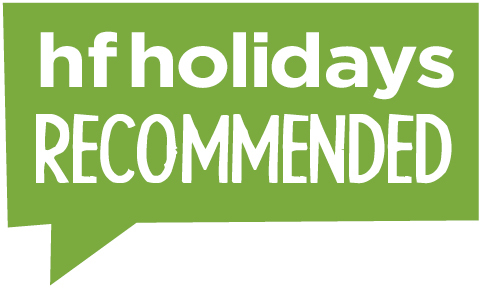 Your pre-holiday service was good – I had a number of probably minor questions which you answered quickly and helpfully. The Skedaddle guide was very helpful, considerate and efficient, as expanded upon below. Peter (our guide) provided excellent, caring service. He fitted up the bikes well, provided encouragement when we flagged. It was relatively expensive compared, for example, to the Exodus and Explore offers. We chose Skedaddle in preference because of the Havana to Santiago flight reducing the time spent in a coach. We knew we could have chosen a cheaper option. I accept that paying for a Skedaddle guide, a Cuban guide and a driver can’t be cheap, and I absolutely accept that you need all three.